Gathering My Roses: Pillsbury Orange Sweet Rolls: Review & Giveaway, CONTEST CLOSED! 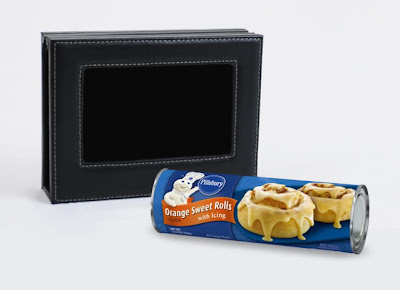 Pillsbury Orange Sweet Rolls: Review & Giveaway, CONTEST CLOSED! Recently, I was blessed by the Pillsbury Company and My Blog Spark with the opportunity to try Pillsbury's new Orange Sweet Rolls. Oh, the memories that come flooding back... I can remember early Sunday mornings, before Church, when Nan & Pop would put the Pillsbury Cinnamon Rolls and Apple Turnovers in the oven. The smell of the rolls and fresh-brewed coffee would permeate the house... it was idyllic. Yep -- they let me drink coffee! I'm glad they did -- it's still my favourite drink! I can close my eyes and see them at the kitchen table... good memories. It makes me smile. Okay, it also brings a tear to my eye. I was so excited when I opened the package from Pillsbury. I found a coupon for a free can of the Orange Sweet Rolls and a lovely photo album. I didn't waste anytime getting to the store. I HAD to get those Orange Sweet Rolls! I did save them for Sunday morning, just as Nan & Pop did! I wasn't disappointed, either. With today's hectic schedules, leisurely mornings and breakfast with the family are difficult to come by. Luckily, Sundays present the perfect opportunity to reconnect and share a delicious breakfast together. Pillsbury Orange Sweet Rolls are warm, fresh, and ready to serve in just minutes. With an ooey-gooey texture and a delicious orange icing, Orange Sweet Rolls have a mouth watering aroma that is sure to bring your family together like no other breakfast! Packed with the love and flavor of a treat made from scratch, but without the time and cleanup, Orange Sweet Rolls are the perfect addition to your family's Sunday morning traditions. 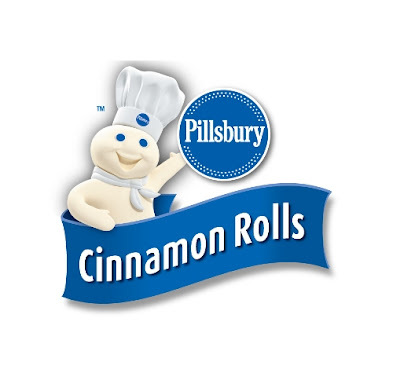 The Pillsbury Company has a winner! These rolls came out of the oven so soft and creamy and the fragrance of orange lingered in the air. They are... so, so good. The frosting was sweet and buttery and the taste had just enough orange to complement the roll but didn't over-power it. Perfection! Now, Pillsbury and My Blog Spark would like to offer one lucky Gathering My Roses reader a chance to win their very own prize pack consisting of a VIP coupon for Pillsbury Orange Sweet Rolls as well as a photo album to help keep your family's sweet Sunday morning memories close at hand! Tell us about your family's Sunday Morning traditions and childhood memories! 3. Follow @GeorgiaMist on Twitter -- leave your twitter name for verification. This contest will run from Monday, March 15 until Friday March 19. DISCLOSURE: I received a complimentary Can of Orange Sweet Rolls & a Photo Album from Pillsbury and My Blog Spark for the purpose of review. I was under no obligation to review this item. I received no monetary compensation. The opinions expressed are based on my own use and experience with the item. I LOVE the orange sweet rolls. Our Sunday morning traditions consisted of going to church as a family. After church we would all gather around the table and enjoy a home cooked meal together and discuss our plans for the week. I adore the Pillsbury breakfast rolls! I never had the orange sweet rolls until I was older, but my sister and I would make the cinnamon rolls together on Sunday mornings when I was younger. Although there wasn't much "making" involved, we popped open the canister together, laid them in a circular together, and then iced them together when they came out of the oven. Another favorite Sunday morning family tradition was when my parents, sister and I would bike to the park together and then come home to make homemade banana bread, yum! Our Sunday tradition is to sleep a little later than usual, then I'll make breakfast- usually scrambled eggs and home fries! We have a nice breakfast together, and then attend church services. My childhood was exactly the same on Sundays! When I was young, our Sunday morning consisted of church, then lunch at our favorite restaurant. Our Sunday mornings start with breakfast. We always have something different every week. Then we read to paper while we listen to some jazz. We have a family tradition of home made breakfasts on Saturday and Sunday! We do Pillsbury cinnamon rolls every few weeks as part of our breakfasts! But it is also bacon and eggs, pancakes, french toast etc.! sunday tradition is to eat hot breakfast and relax. We always eat breakfast together on Sunday mornings, or a late brunch. No TVs, just good company and good food and the kids will come down and set the table! We love a good brunch on the weekends- its a wonderful way of combining Breakfast and lunch! We would always have a quick breakfast - like sweet rolls -- and head to church. Our Sunday family time was mostly after church, when we would gather. We used to go to church, eat a potpie, take a nap and go to church again. We used to go to Church and then eat out every Sunday. The food made up for the early wake-ups. I always loved having goldenrod egg on easter sunday. When I was a kid I loved going to my dads house because we always got homemade doughnuts!! They were oh so good and oh so filling!! If my daughter and I are home together on a weekend morning, I'll make scrambled eggs and salsa for us - long time favorite! These Orange Sweet Rolls would be an awesome addition to that! Our tradition is to eat a nice hot sunday breakfast of French Toast, Hashbrowns, Bacon or Sausage or pancakes. Thanks for the chance. We make french toast before Church every Sunday morning. Thanks. Sunday for us has always been a sleep in, lazy, read the paper day. Thanks! I always remember watching cartoons in front of the TV while eating cereal. Now I like to do the paper's crossword puzzle in the morning. We normally cook a big breakfast and sit around and eat. Sunday morning means that my husband has to do the cooking. It's always a very filling meal! Making rolls on a Sunday morning was THE height of fancy in our house, it was the only thing my Dad could make lol. We always went to church on Sundays & then either came home to a family dinner or went to a very special Buffet at the train station in Omaha, Nebraska. They had a large, very ornate treasure chest where the kids could choose a prize (and they weren't junky, like nowadays). as a family, we make chocolate chip pancakes on the weekends! Sunday morning we slept in (church didn't start until 10 and only lasted an hour.) Then we went to Dairy Queen for a late breakfast/early lunch of hamburgers and fries. Our Sundays were going to church as a family, reading the Sunday paper & watching TV together as a family. My family would usually sleep in a little and then eat breakfast together- then off to church and home again to enjoy the day with family & friends. we take the kids,to breakfast every sunday! Eating a family meal together and usually bakery rolls for breakfast. We will have breakfast and then attend church together. As I child, I love baking Pillsbury biscuits. Quiet mornings on Sunday and breakfasts usually cold cereal or oatmeal. My childhood memory is of French toast and lots of syrup with crispy bacon with my family except when dad was working shifts. I'm following your blog publicly!